Black Pink's Jennie has released more teasers ahead of her solo debut! On November 5, YG Entertainment dropped two image teasers of Jennie rocking two different yet equally gorgeous concepts. In one photo, the idol transforms into something of a disco diva, dressed in a glamorous shimmering body-con dress, while in the other, she goes for a more natural vibe, looking fresh-faced with wavy, soft hair. 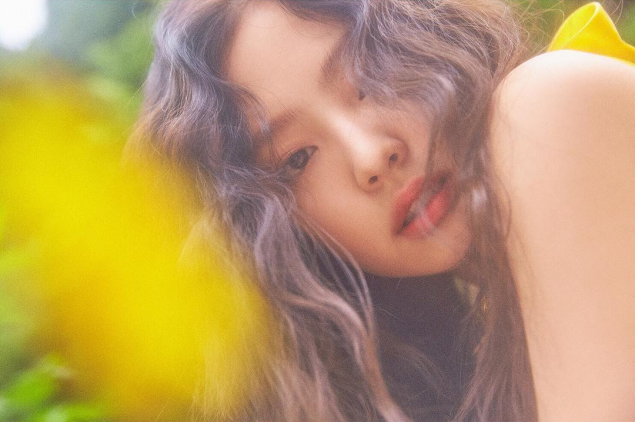 Meanwhile, Jennie releases her debut solo single on November 12. Check out the concept teasers below, and stay tuned for more teasers from Jennie! Finally something more age appropriate. That teaser video creeped me out. They had her looking 10 years younger talking like a 5 year old girl wearing little kids stuff.